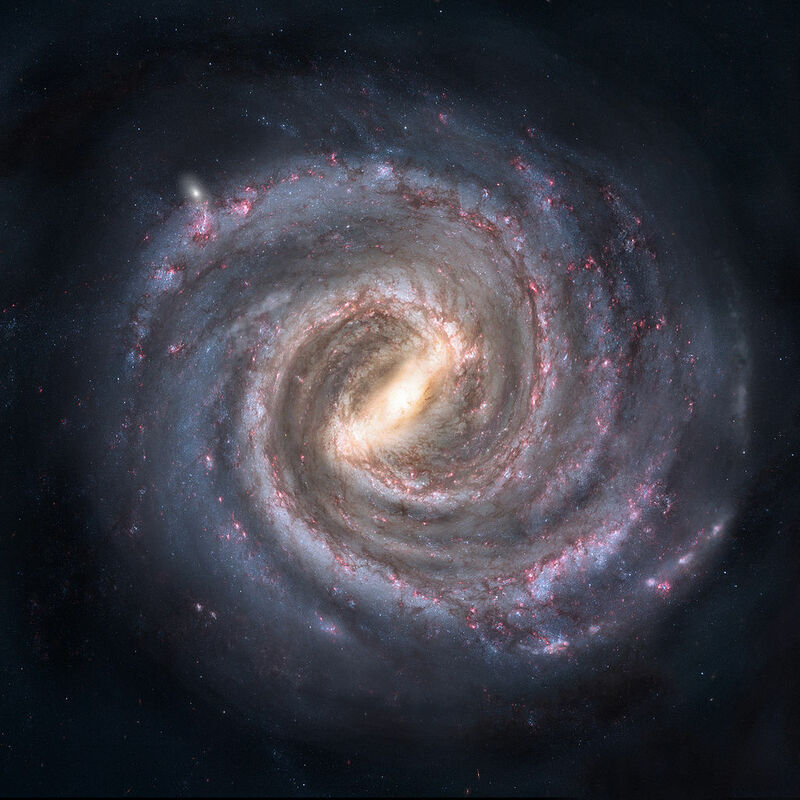 The galaxy long ago called the “Milky Way” by humans has borne many other names in other humanoid tongues for much longer than humanity has even had words with which to name the universe. It has been the theater of sweeping military actions, at least one great civilization, bizarre political intrigues, and much more. When humaity finally dragged itself out of its solar system, and encountered their first “aliens” (unsurprisingly, a ship carrying a pair of Attheri), things were not as quiet as they had thought, in the deeps of the Milky Way. Earth scientists are still at a loss to fully explain why the teeming life of space was not initially apparent to them from their efforts such as SETI, but part of the reasons include Jump activity (which can absorb and transform radio waves as a side effect), standard caution amongst those spacefarers who were using theoretically detectable transmissions, and use of irregular communications systems. While the Attheri were apparently aware of life on Earth, they were not interested until this life provided a market for them. 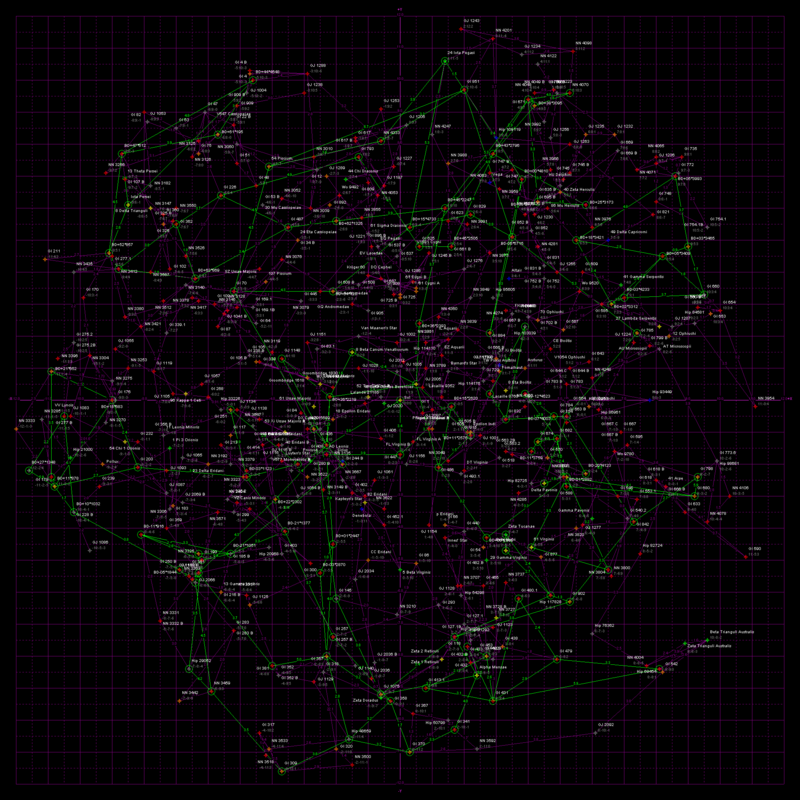 Crazy starmap courtesy of Winchells HabHYG starmaps page. It may seem that the galaxy has been mapped out, and is surprisingly mundane to the disappointed humans whose heroic goals of “being the first” had to be traded in for “coping with the rest,” but the galaxy is still full of many mysteries. Rumors about anomalies and huge, bizarre artifacts of lost (or hiding) civilizations abound in the spaceways. While some search the smaller nearby suns for viable planets that might have been overlooked, or haul wreckage for salvage and resale, other more daring spacefarers, aided by Jumptech, have made the decision to explore the unknown regions of the galaxy, towards the galactic Core. But all is not adventure. A seething war rages between the Ktiath and the Menchanu, and another one seems on the verge of outbreak between the Menchanu and humanity. Alliances are not guarantees, and guarantees are not worth the datawaves they’re broadcast upon. Meanwhile, the strikes by the terrorist Hyblood organization called the “Kora’i” are growing troublingly more common and vicious, and Kesssoné sightings have been growing less and less rare over the past few centuries. Meanwhile, the Attheri seem to be their same old reliable but demanding selves, but rumors often accuse them of dark alliances between different species. Copyright © 2000 by Kat Feete and Gord Sellar. Powered by WordPress and Saga.